When studying Architecture in Oldenburg, Germany Marc Lavry belonged to the Jewish Fraternity mainly because he was very strong and athletic and he was the “chief fighter” in the street fights between the fraternities. Passing by the Dean of students’ home which was being renovated, while being a little tipsy, Lavry and his friends decided to demonstrate their newly acquired building techniques learned at the Technical College in Oldenburg — they cemented all the doors and windows of that building… They were expelled from school but were allowed to return after proper apologies. 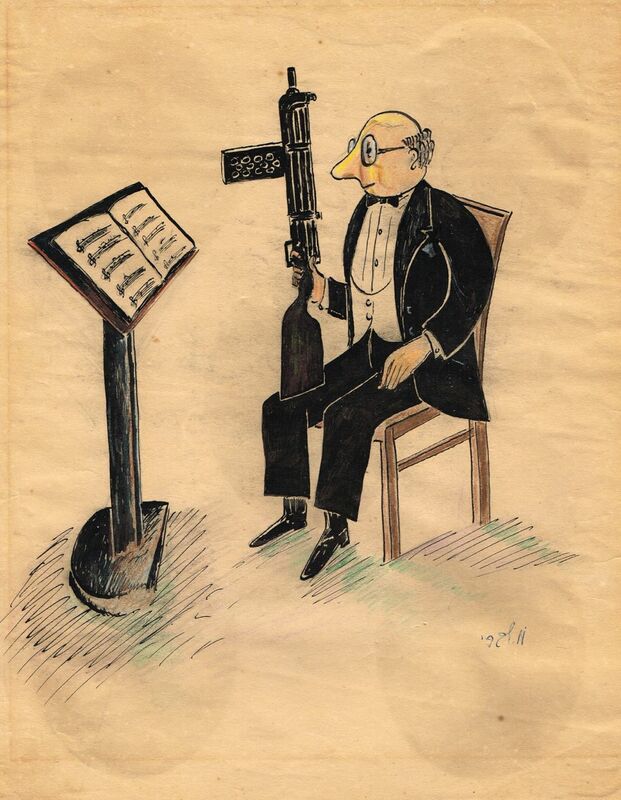 On February 29, 1944 the Palestine Symphony Orchestra (later the Israeli Philharmonic Orchestra) performed at the Roxy Theater in Beirut, Lebanon that was under French occupation. When asked for the score of the Lebanese anthem, the local representative said that there is none and suggested to commission an anthem for the event. 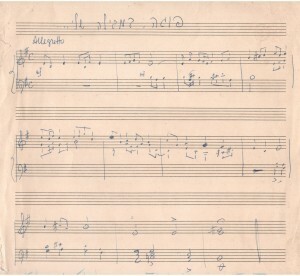 Marc Lavry, the speedy composer, was approached to write one. Needing a theme, the composer asked for a typical local tune so the representative sang a melody by the Lebanese composer Wadia Sabra. Lavry then arranged and orchestrated it into an anthem, giving it a Marseillaise flair. As customary, the orchestra opened the concert with anthems: the French, the Israeli and the new Lebanese one. The audience was in ecstasy and demanded a repeat of their new anthem. After playing Beethoven’s Egmont Overture, the audience insisted that the anthem be played again. The same occurred after each composition and the finale. 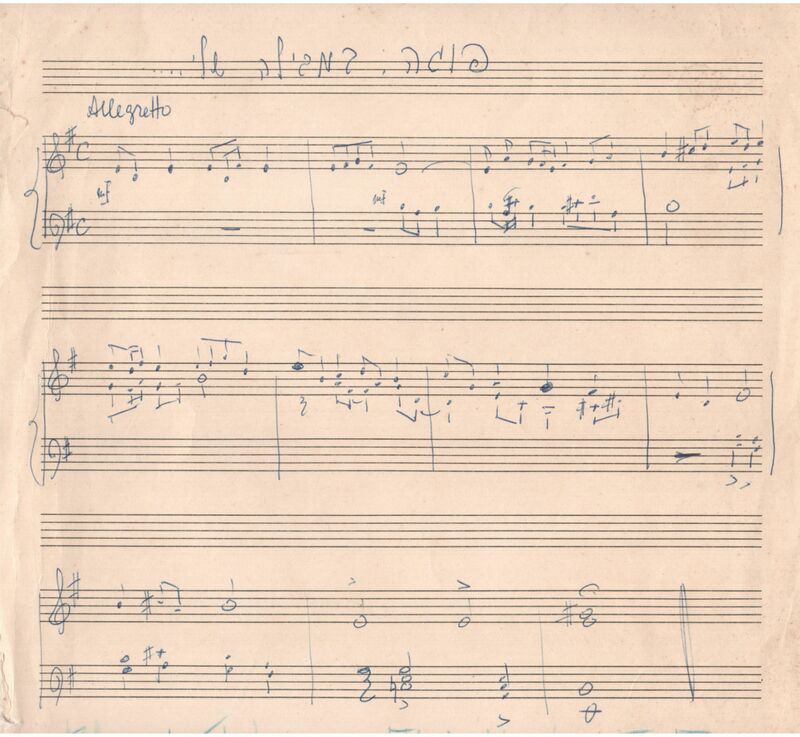 The song Kitateinu Balaila Tsoedet (Our Platoon Marches at Night) that Lavry wrote in 1948 became the jingle of the IDF (Israel Defense Forces) radio station for over 20 years. Lavry had left at home the orchestral arrangements he had written for a recording at the YMCA Hall. The suggestion was made to send a cab to his home to bring the music. However, in order to save time, Lavry preferred to write new orchestral parts on the spot. While in the Hagana movement (the Jewish underground army), one of Lavry’s duties was to transmit the underground army broadcasts. He worked out of an undercover truck, disguised as a laundry service vehicle and transmitted from behind a pile of stinky dirty clothes. The pianist of an American jazz band on a tour in Leipzig fell ill and they were in need of a replacement. Prof. Teichmuller immediately suggested Marc Lavry. But in 1924 it was not customary for a white person to play with an all black group. They spread brown lotion on his face and hands and, together with his black curls, he looked the part. The concert was a smashing success and Lavry was offered a permanent position with the group. As flattering as it was, he politely declined. It turned out that the dark tint would not come off and for a whole week Lavry was too embarrassed to go out and hid at home. Whenever Lavry was ill he took the opportunity to paint. Often, his sense of humor, or perhaps the high fever, brought him to draw caricatures. Such is the drawing of the frustrated musician that hates the awful music the composer wrote. For this painting Lavry used the same pen with which he wrote his music. Lavry was furious at his choir during a recording session, as someone was off-tune. He made every singer sing alone, but couldn’t find the culprit. Then, when the choir sang together again, the problem voice was back. At some point he discovered that his dog, Bambi, who accompanied him to the recording, was “chiming in”. Later that evening, he assembled the family around the piano, put Bambi the dog on a chair, and the human-canine duo serenaded… From that day on, whenever the Lavry’s had guests, Marc invited Bambi to sing to the excited crowd. In 1934, Marc Lavry and Helena Mazoh, as required by law, filed for a marriage license with the City of Riga. The license was good for a limited time. Lavry, who was working at the time in the film industry in Finland, decided he had to get back to Riga before the license expired. However, the harsh Northern European winter was uncooperative and scheduled flights have been canceled. Love-struck Lavry found a pilot that would risk flying him in his private plane despite the difficult conditions and the two took off. The light aircraft wasn’t strong enough for the storm, the wing broke and the plane plunged into the sea. Fortunately, a nearby ship rescued the two survivors and Lavry managed to get to his wedding the day before the marriage license expired. With broken ribs, unbeknown to his bride, and accompanied by his faithful dog, Sherry, who was the main witness at the wedding, Marc and Helena said their vows. 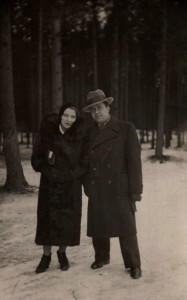 In 1940, Lavry dedicated the oratorio Song of Songs to his wife.